(UAE) – Dubai’s Downtown Design will exhibit Melongranoblu’s Avatar at their design fair this November. 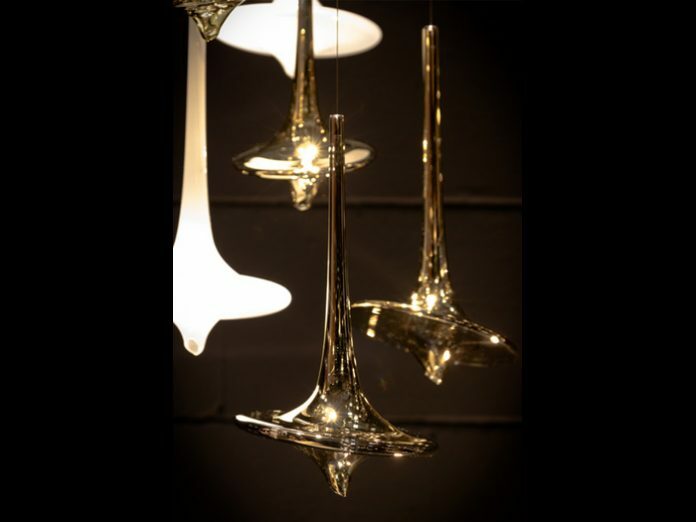 The new Avatar pendant is available in two different sizes and two finishes (metallic gold and milk white) which give lightness and elegance to the organic forms of glass. Dubai’s Downtown Design is the largest celebration of original and high quality design. It is the only trade show in the Middle East for design professionals, showcasing a variety of commercial designs from various industries.